1. Use mirrors to double your space. 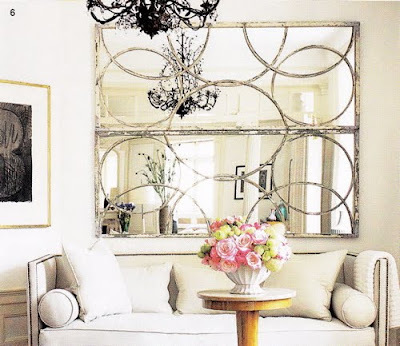 This works wonders for your space, especially if you choose an original mirror, such as this one. Swoon. 2. Instead of a coffee table, use a cluster of tables. Using a couple (or several) side tables, instead of the large coffee table gives you a chance to move the furniture according to your needs, while it makes the living room look more modern. Who says plants go outside? Try going with ferns or topiaries to add a sparkle of green to your living room. Real plants are great elements in decor. 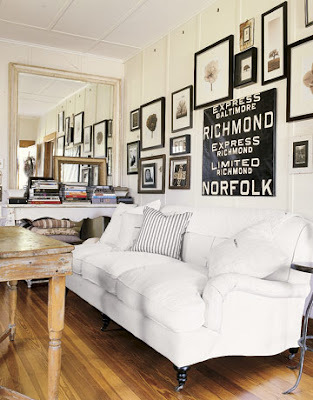 A popular move for walls in your living room (or any other room) is to hang up many frames instead of a large one. It's a perfect chance to display anything, not just pictures. Try using paper shapes and tape to avoid mistakes when nailing. 5. Add interest with large scale images or phrases. 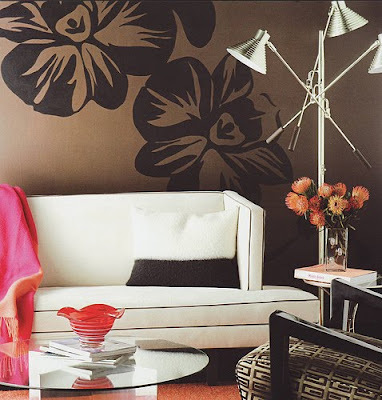 Nowadays it's easy to have different looks on walls with vinyl stickers for the purpose. Best thing is, once you get tired, you just peel it off and you're ready for another makeover! 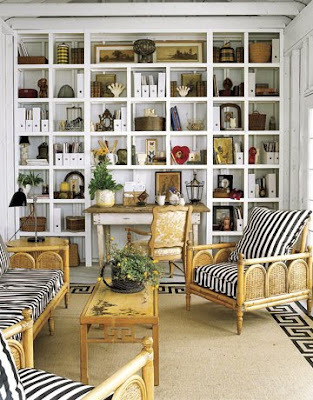 The living room is the perfect place to read a book, so why not use a wall to install shelves? This is probably not as easy as the other ideas, but it gives you room to keep books, papers and decor elements, and perhaps even the chance to settle your home office in a tiny nook. And they look so pretty. 7. 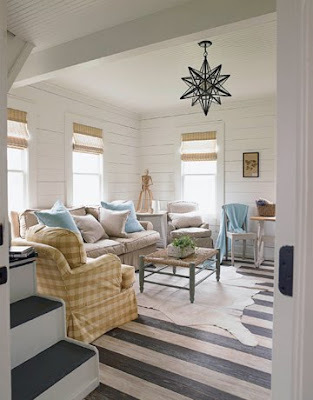 Slipcover your sofas and couches. It's trendy, casual, and kid-friendly!!!! Do you have ideas for living rooms, or any other room in the house? I like the idea of using several small tables instead of one large coffee table. i love the idea of using several smaller tables instead of one large one. especially in our downstairs space. and those walls of shelves? WANT ONE!! !